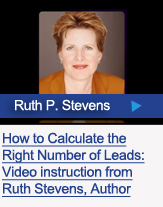 World-renowned expert Ruth P. Stevens helps you bring science and systematization to all facets of lead generation, building on process, best practices, continuous testing, and ongoing improvement. You’ll learn how to maximize the value of tried-and-true B2B tools and the newest social, web, and search technologies. 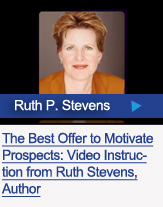 Stevens offers indispensable insights for the entire lead lifecycle, including qualification, nurturing, measurement, and tracking. This is an SLMA recommended book. 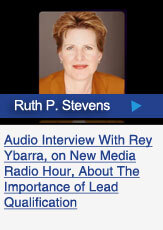 I always enjoy reading Ruth's work and this is no exception. This is the size of most B2B business books and it is a fast, comfortable read. There are eleven chapters, nine "tips," three case studies and many charts, graphs and tables which are very useful as stand-alone teaching/coaching/proof statements. I'm a big fan of Ruth Steven's writing, so I eagerly awaited the arrival of her new book ...I wasn't disappointed. The writing style is engaging, almost conversational, yet conveys a wealth of useable information... This was a fun, yet informative read where I think the fresh graduate and marketing guru will each walk away with something new. 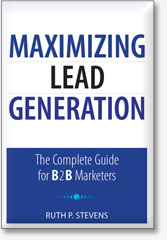 When I read Maximizing Lead Generation: The Complete Guide for B2B Marketers, I knew I had to share it with you. In my opinion, it's the missing link for companies who know they need to do something differently, but don't know where to start. If that applies to you, it's definitely worth reading. 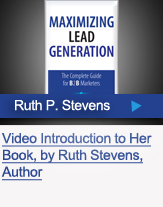 I like to do book reviews once in a while on Biznology, and this one was a natural because I know Ruth Stevens and I know her expertise in B2B marketing, so I needed to pore over her book, Maximizing Lead Generation , for tips–and I found them.